Your donation makes a difference! Please give as generously as you can to our Annual Appeal! 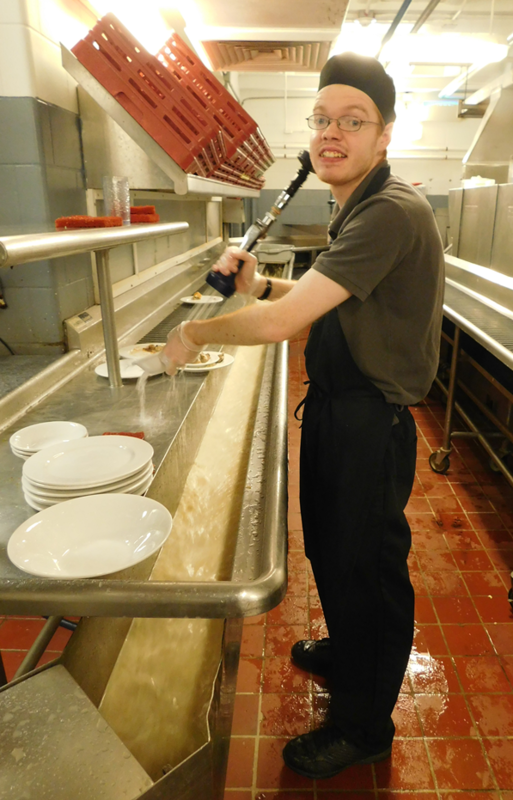 Danny, an employee in our Group Supported Employment Program, works in the cafeteria dishroom at Babson College. While in high school, Danny participated in our School to Work Transitions Program and graduated in 2015. Opportunities for Inclusion support has helped him to develop job skills and to be successful in his job. Danny takes pride in his work and in earning a paycheck, which helps him to be more independent and self-sufficient. Elizabeth is a participant in our Community Based Day Supports Program, which emphasizes community activities and involvement. 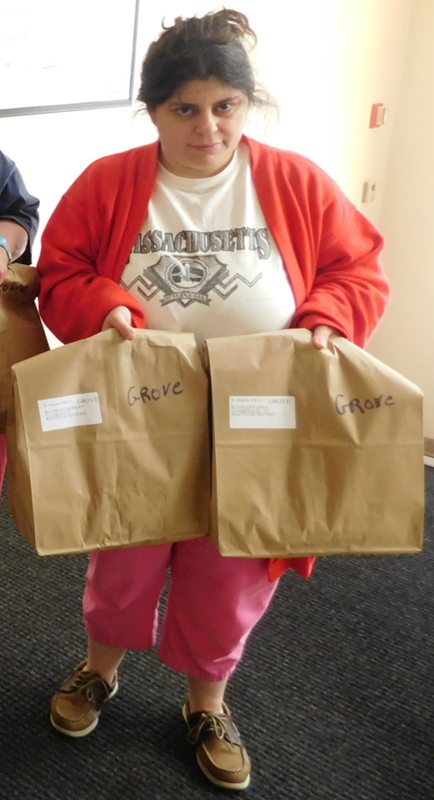 With staff support, she volunteers weekly to deliver Meals on Wheels to Waltham residents. Elizabeth also shops for and delivers supplies to local food pantries through our Rotary-Opportunities for Inclusion Food Pantry Project. Recently she sorted and re-packaged diaper donations at Diaper Depot in Waltham for distribution to needy families. "I'm happy that I can help people," Elizabeth said recently. Ken, a participant in our Day Habilitation Program, enjoys collecting calendars, using interactive apps on an iPad to build communications skills and getting out in the community. 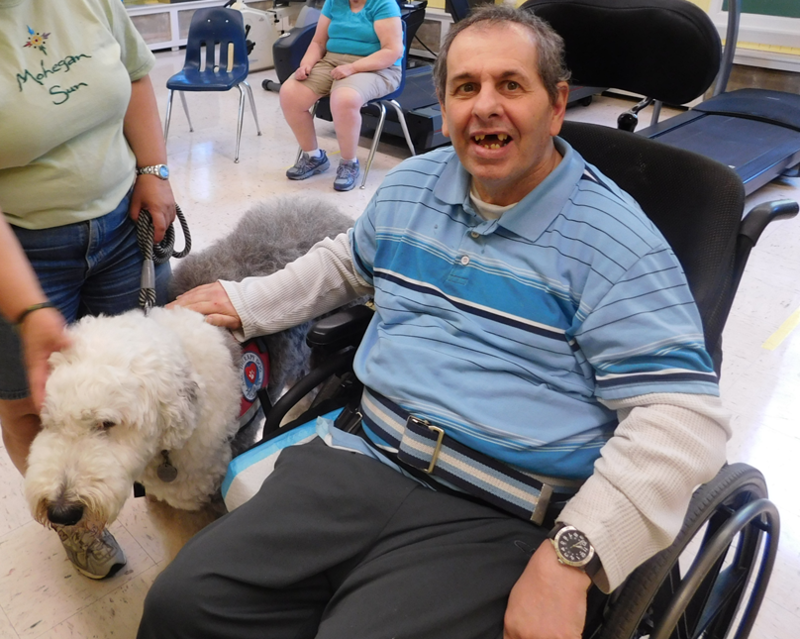 Every day, Ken and other Day Habilitation Program participants work with our skilled staff and therapists to develop their skills and abilities so that they can live as fully and independently as possible. Enriching activities like art, music, cooking and nutrition (and NEW last summer -- Sailing with Community Boating's 'Sailing for All' Universal Access Program!) help to build skills and develop community connections that are so important to quality of life. With your support, we've created life-changing opportunities for individuals with intellectual and developmental disabilities in our community. Your generous donation allows us to provide the highest quality programs and services to more than 300 individuals we serve annually. Opportunities for Inclusion has been working in the Waltham community for over 60 years. With the support of donors like you, we've created opportunities that are second to none for our friends, relatives and neighbors with disabilities. We hope you will make a generous donation to ensure our continued success.